Where to start with Once There Was a Way: What If The Beatles Stayed Together? by Bryce Zabel? I think maybe first I need to write the definitions of “historical fiction” and “alternative history” since it is the later category that Mr. Zabel uses for this novel. Alternate history or alternative history sometimes abbreviated as AH, is a genre of fiction consisting of stories in which one or more historical events occur differently. These stories usually contain “what if” scenarios at crucial points in history and present outcomes other than those in the historical record. The stories are conjectural, but are sometimes based on fact. There is also fan fiction which I define as complete works of fiction using real life people as characters. I know these categories are very similar, but the best way for me to describe the difference is on a personal level. I love historical fiction novels about Edgar Allan Poe. The authors of these books (click to see the Poe books I’m talking about) use real life events in Poe’s life and build a story around it with minimal, if any, changes to Poe’s history. Fan fiction would take Poe and put him into situations that he would have never been in, altering the outcome of his life completely. 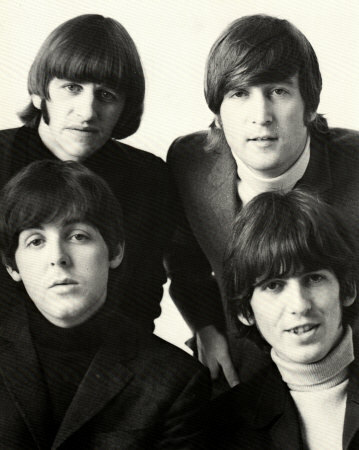 Another example of historical fiction would be Can’t Buy Me Love by Dan McNeil in which he wrote a great mystery novel around the night that the Beatles first appeared on the Ed Sullivan show without changing their story. So, given the definitions above, I would put this book in the Fan Fiction category because the author doesn’t start the story at the end of the Beatles story when the band officially broke up. Mr. Zabel went back to the year 1968 and changed the history of the Fab Four including the title and song list of several of their albums. Imagine, if you will, if songs that were released on each of the their solo albums were part a group album. Imagine #9 Dream without May Pang saying “John….John…” Imagine Yoko Ono and Linda McCartney as friends, and Allen Klein and Lee Eastman all working together to keep the Beatles together. The Beatles win Oscars for their work in Stanley Kubrick’s The Lord of the Rings. They star in a remake of Murder on the Orient Express. John is kidnapped by the politically far-left group the Weather Underground and eventually pardoned by Gerald Ford. A nineteen year old Steve Jobs befriends George Harrison and becomes the head of Apple Computers…a division of Apple Corp. Could this things have happened if the Beatles broke up in 1975? Can you dig it? I rate this book, 2 out of 4 Beetles! Happy holidays readers! While surfing my way through Facebook this week, I came across a post about this book – Once There Was a Way: What If The Beatles Stayed Together? by Bryce Zabel. Since it was just released on December 5, 2017, I decided request a review copy from the publisher, Diversion Books. After offering to send me a review copy, they wrote back to me and asked if I would like to have a contest on my site and give away three copies. “Absolutely!”, I replied. The book is a 308 page, fictional tale of what might have happened had the Beatles remained friends and never broke up their band. I can’t wait to read and review it for everyone, but in the meantime, here is an excerpt from the book. I choose this one because it includes one of my favorite Beatles ladies…May Pang! Once Julian was safely back to the care of his mother, Cynthia, John returned to his party life in Malibu. The Weathermen followed him constantly. Ironically, even though Lennon spotted them several times, he dismissed them as junior FBI agents and ignored them. The nightclubs they followed him into included the famed Troubadour in Hollywood. Wearing disguises, the Weathermen observed Lennon and Nilsson throwing back Brandy Alexanders like men who had been lost in the desert for a week. One night, an inebriated Lennon came from the restrooms wearing a sanitary napkin attached to his forehead. Dohrn and Ayers watched as a waitress questioned him as to whether he was leaving a tip on the way out. “Do you know who I am?” Lennon asked. The plan had been for Dohrn and Ayers to pick up Lennon after he left the Troubadour, but now there were too many people around, from bouncers to club owners to fans gathered to watch the stumbling Lennon. If anything, the scene convinced Dohrn and Ayers that Lennon was a worthy target who would benefit from some re-education—they’d just have to wait a little longer to implement their plans. As it turned out, they didn’t have to wait as long as they thought. The evening of March 12, 1974, had been a dark one for John Lennon, now almost a year into his banishment by Yoko Ono. Lennon and Nilsson began throwing down more cocktails and decided to heckle the Smothers Brothers, the controversial political satirists. As the situation escalated, club security attempted to remove the drunken and enraged rock stars in the audience. The struggle turned physical, and Lennon lost his memorable glasses in the scuffle. All of this, of course, attracted just as much attention as the Kotex incident, but this time, the Weather Underground was prepared—they had a spotter in the crowd who used a nearby payphone to call Bernardine Dohrn, stationed at another payphone near Lennon’s rental house on the beach. As a taxi dropped off Lennon, Nilsson, and Pang at Lennon’s, a coordinated team of five members of the Weather Underground made their move to grab Lennon. Nilsson tried to hold on to his friend but was punched out cold for his bravery, suffering a concussion when his head hit the stone driveway. A car appeared, driven by Ayers, with Dohrn in the passenger seat. Pang screamed, terrified she might be raped, and was gagged, blindfolded, and thrown into the back seat. The Weather Underground radicals overpowered Lennon as well, tied his hands with duct tape, and threw him in the trunk of the vehicle. Within less than a minute of exiting the taxi, John Lennon, inebriated and vomiting, found himself locked in a dark car trunk without his eyeglasses. The car sped off, going north on Pacific Coast Highway. Twenty miles away, on a dark, deserted stretch of beach highway outside of Trancas, a member of the rebel group threw May Pang from the car. It took her over two hours to find her way to an all-night liquor store with a phone. The manager, a volunteer member of the Malibu Sheriff’s Department, took care of the frantic Pang and helped her remember the physical descriptions of the assailants as best as possible. With Pang’s assistance, deputies found Harry Nilsson shortly before daylight, still unconscious, in the driveway of the beach house. Within another hour, AP had broken the story. (LOS ANGELES, CALIFORNIA)—THE RADICAL WEATHER UNDERGROUND TERRORIST ORGANIZATION SAYS THAT MUSICIAN JOHN LENNON IS IN ITS CUSTODY. LENNON, A MEMBER OF THE POPULAR MUSICAL GROUP THE BEATLES, HAS BEEN MISSING SINCE TUESDAY. FBI DIRECTOR CLARENCE M. KELLEY CONFIRMS THAT BUREAU AGENTS BELIEVE THE COMMUNICATION FROM WEATHER UNDERGROUND LEADER BERNARDINE DOHRN IS AUTHENTIC. To enter the contest to win one of three copies of Once There Was A Way, just leave a comment below and tell me what you believe may have happened (or wished had happened) if the Beatles had stayed together. One entry per person. Contest ends and winners will be announce at 9 a.m. on Sunday, December 24, 2017. Good luck and happy holidays….and thank you to Christine at Diversion Books for giving my readers a spectacular holiday!